Community Supported Agriculture is a movement that began in Japan and has moved to the United States as a method of bringing food to the table as a community; bringing people back in touch with the roots of the sustenance of life. 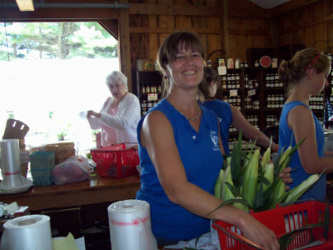 In practice, a CSA program is a cooperative relationship between a farmer and the community. Members of the CSA enter into an agreement with the farmer through which the members fund the early growing season in exchange for shares of vegetables and goods through the fall harvest.